If you are looking for a supply list, you can find it on the syllabus for the course you have. If you don’t feel like looking for it there, see below. Hello, students! What are you doing checking your teacher’s blog in the middle of the summer?? Go outside and get some sun! Sit under a tree with a good book! Ok, so maybe you just really want to know what to expect in English next year. Feel free to check out the syllabus for your class (mouse over the course title above to find links to the syllabi). They are updated for the 2013-14 school year, so everything should be up to date. Let me know if you have any questions! I’m so excited to start a great new year! 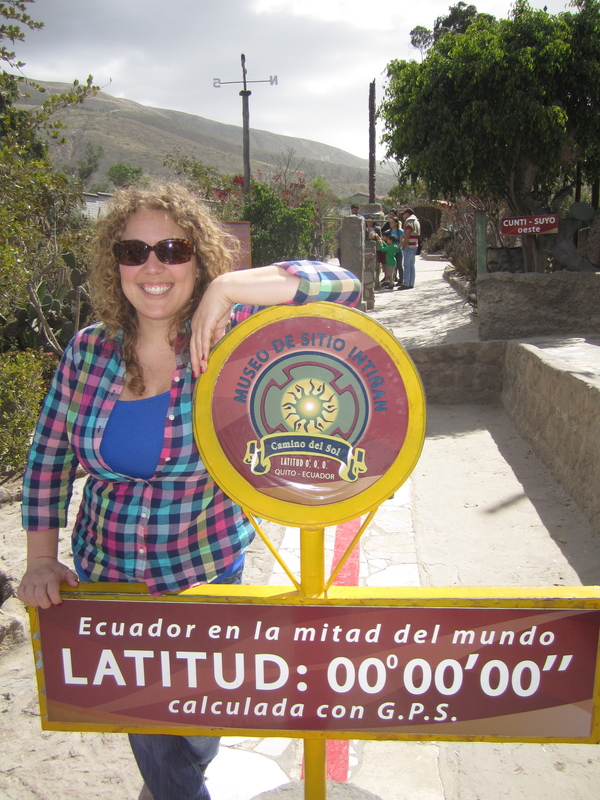 In the meantime, here’s a photo of me standing on the equator in Ecuador this summer! I am extremely excited about my current DonorsChoose project. I am trying to fund a class set of Wreck This Journal for the incoming freshman class. I want to bring them this creative outlet as a way for them to relieve stress and understand the importance of failure. 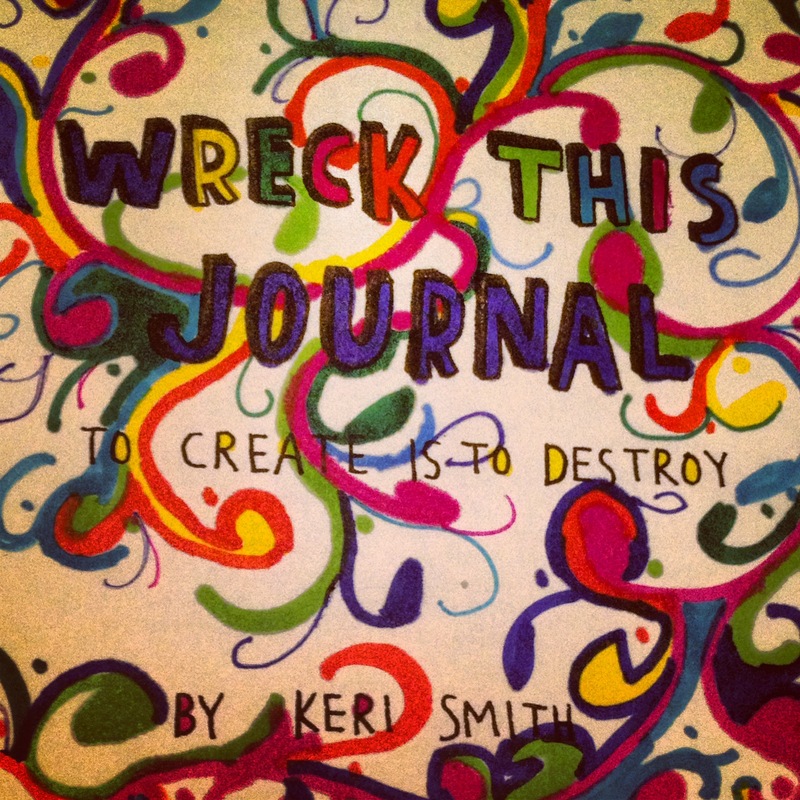 And I’m doubly excited because the author of Wreck This Journal, Keri Smith, is supporting the project! She blogged about it after receiving my email, and she’s donating the 20 books we weren’t able to include on the grant because of Donors Choose’s $800 maximum. Not only that, but she also donated to my project, as well as Mrs. Gross’s (HTHS), and Mrs. Harmon’s (CHS)! So cool. Please consider donating to this project…any amount will help! And even if you’re an adult, you should pick up a copy of Wreck this Journal! It’s so fun! There isn’t much homework in Digital Literacy, but there will be times when I make posts relating to class. I will tag those posts with “DL.” I am posting this now to start the tag. See the link on the side bar to access all posts relating to DL. When I start posting homework for IB juniors, I’ll use the tag “Frosh Homework.” This is just a post I’m using to start the tag. See the link at the side bar for easy access! When I start posting homework for IB juniors, I’ll use the tag “IB Homework.” This is just a post I’m using to start the tag. See the link at the side bar for easy access! Well, I have finally gotten started on my summer project! My class blog is coming together much more quickly and easily than I anticipated. I am confident that I’ll be ready for the official unveiling by September!